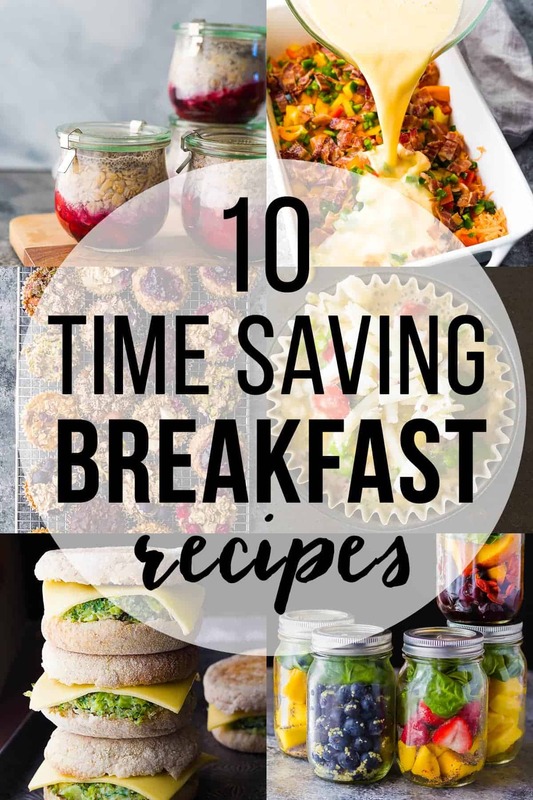 These time saving healthy breakfast recipes will make early mornings so much easier! Prep them ahead and you are set for the week. Morning zombies, I’m looking at you! Is breakfast the last thing on your mind when you’re scrambling to get out the door in the morning? Do you skip breakfast, then devour a giant sugary muffin later in the morning? <–This? This was me. Finding meal prep was a big game changer in my morning routine. 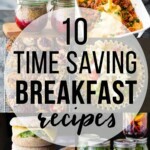 I’m sharing my favorite time saving healthy breakfast recipes today. Whether you spend an hour stocking the freezer with breakfast burritos, or ten minutes making a batch of overnight oats, you are not going to regret it! I have healthy breakfast ideas for everyone, whether you are craving something sweet, or something savory. Maybe you are not a breakfast person and just want a simple smoothie? I’ve got you covered. Maybe you are cooking for a house full of hungry teenagers? I’ve even got a couple of big batch breakfast casseroles for you. Let’s check these healthy breakfast recipes out! 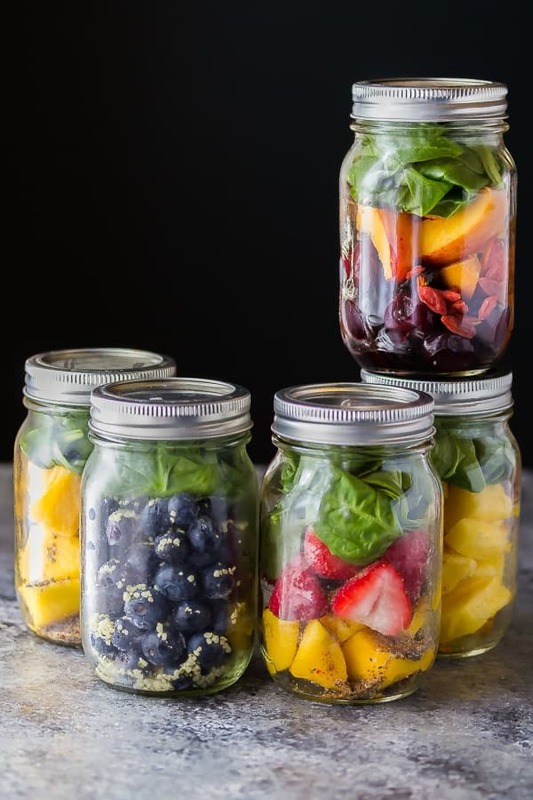 It might seem silly, but assembling your smoothie ingredients ahead as frozen smoothie packs means that all you need to do in the morning is to shake them all out into the blender, add your liquid and blend away. Don’t reach for the disposable plastic bags, grab a few pint mason jars and you are good! Here are 5 Frozen Smoothie Packs to start you off! 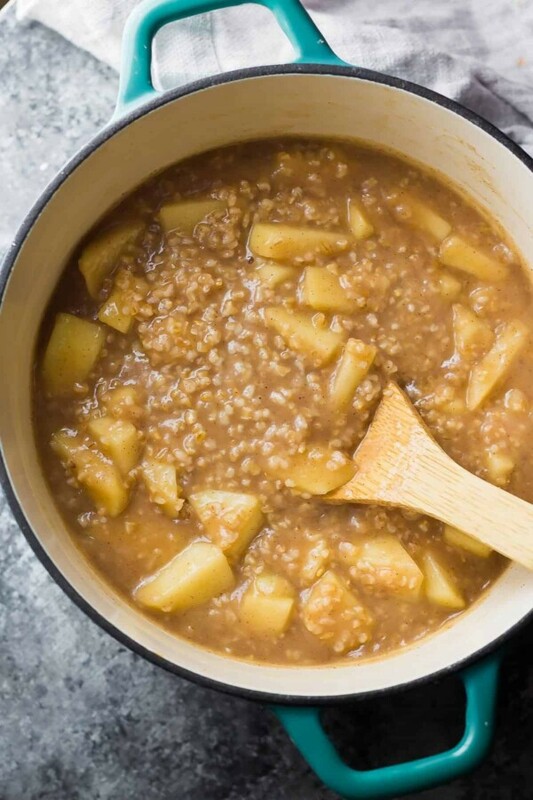 One of my favorite healthy breakfast ideas is to make a big batch of steel cut oats, portion it out, and re-heat on weekday mornings. Here are Seven Healthy Steel Cut Oats Recipes. We make a double batch in our Instant Pot and it lasts for 3-4 days. 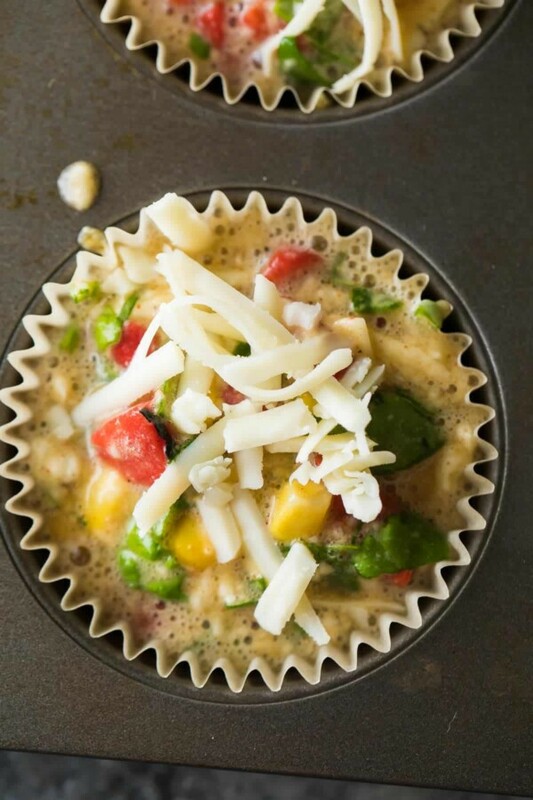 If you prefer a savory breakfast, consider making a batch of Healthy Breakfast Egg Muffins for easy breakfasts on the go. You could also go the way of a frittata (like this Herb Zucchini & Kale Egg Bake), which can be portioned out and reheated. 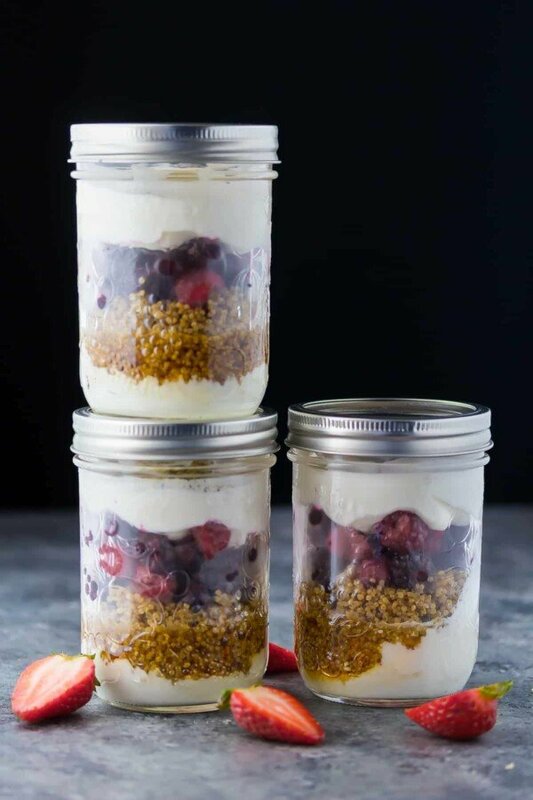 Parfaits are one of my favorite breakfast ideas because you can go wild and customize them based on your tastes, and they are so easy to grab on your way out the door. I shared my Berry Quinoa Yogurt Parfaits, and you could add some protein powder for an even bigger boost of protein. Swap out the fruit, add some granola, nuts or seeds…there are a million ways you can change these up. If you need a grab and go breakfast, baked oatmeal is your friend. 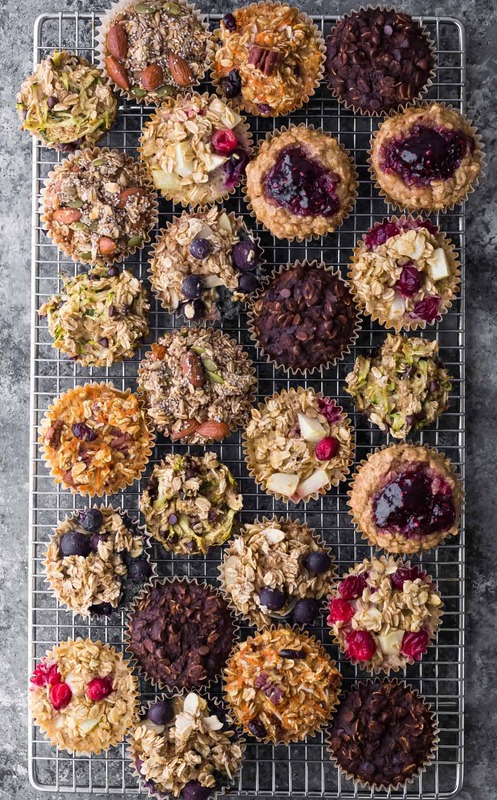 Check out these 7 Easy Baked Oatmeal Muffins. These babies come together before the oven has even pre-heated. 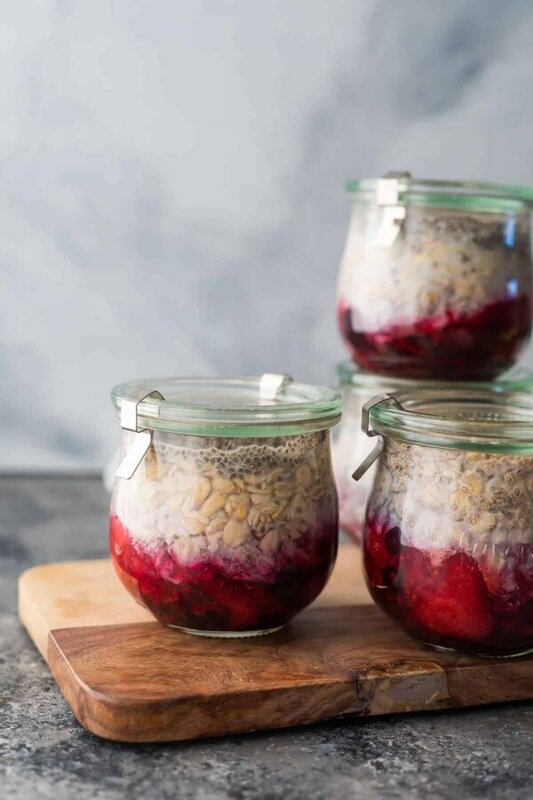 Overnight oats are such a great time saving healthy breakfast recipe because they come together so quickly…as in under 10 minutes! Easy to customize and grab on your way out the door. Check out my favorite Fruit on the Bottom Overnight Oats, and if steel cut oats are your jam, check out these Overnight Steel Cut Oats. You may also like this Chocolate Chia Pudding! 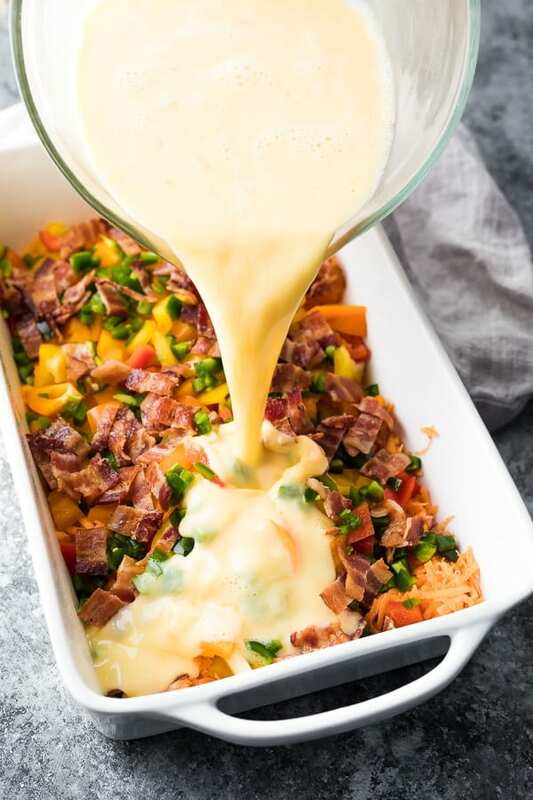 If you are cooking for a crowd, but want to save time in the morning, check out these healthy breakfast casserole recipes! 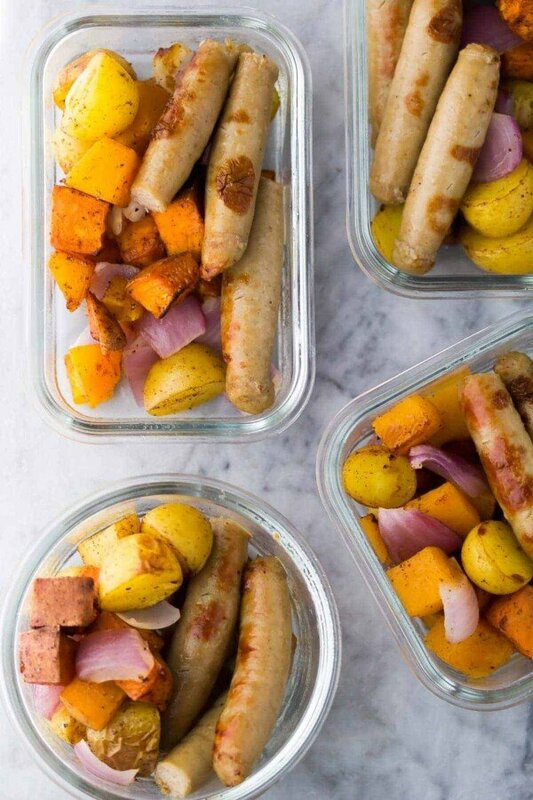 All the prep work is done in the evening before, then you can pop them in the oven the next morning for easy breakfasts. You can also bake these up on the weekend and re-heat for easy breakfasts on week days. 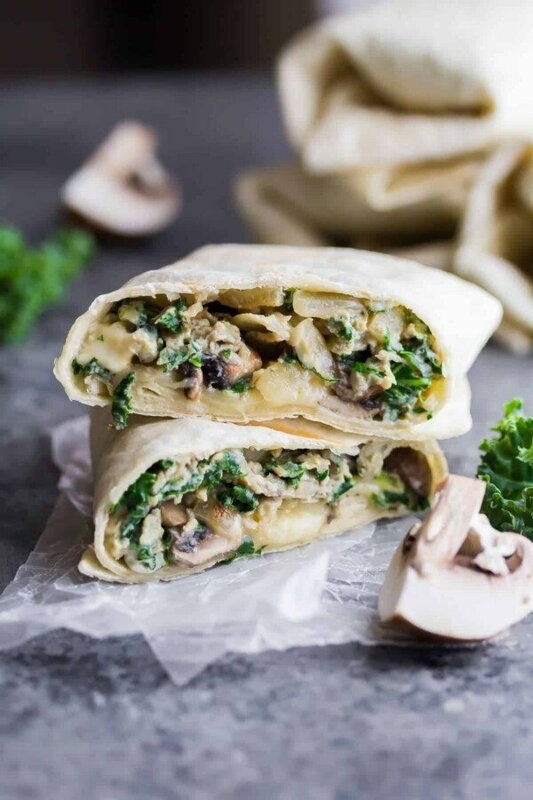 Breakfast burritos are one of my favorite time saving healthy breakfast recipes because they are freezer-friendly, packed full of protein, and easy to sneak some veggies in! Skip the drive thru and the HUGE amounts of sodium with your own homemade breakfast sandwiches…these are so easy to prep ahead and freeze! 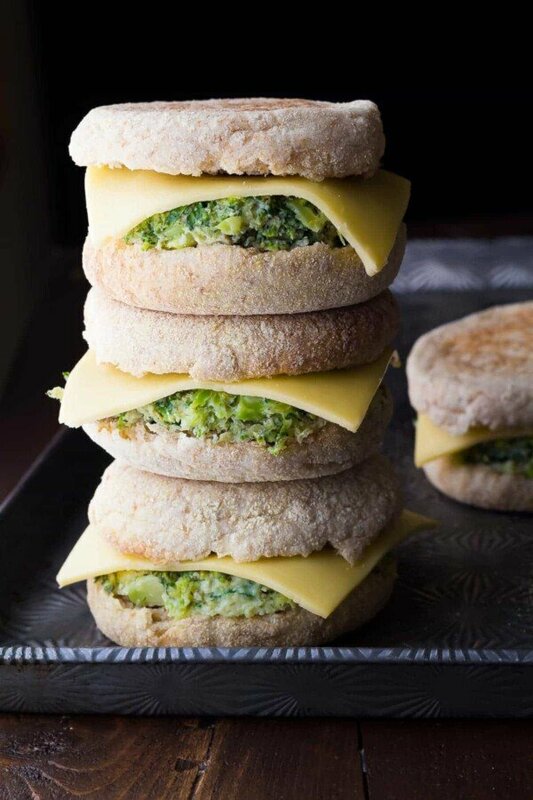 I have four freezer breakfast sandwiches on the blog! These don’t save time. You’ve just moved the work to a different time. I’m busy 24/7. I want something healthy that’s pretty much ready to go. Microwaving is fine, but I ain’t turnin’ on no oven. TThank you for all the wonderful recipes. I use your site often and never told you how much I appreciate the time, effort and generosity you put into all you do. Love and big hugs to you! Hi Jean, thank you so much for your comment, you just made my night! Let me know if you ever have any recipe requests. What a great round-up! I’ve been really into smoothies and oatmeal lately, but I’m looking to “branch out” and be more adventurous with my breakfasts. 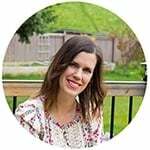 Hi Denise, i’m new to your blog but really excited to try your recipes! I do have a question though, do you always have to heat your prepped meal or can i eat these cold? I don’t have any time to eat at home in the morning so i eat at work before i actually start working, i’m a house painter so i can’t heat any food. Thank you! Hi Angelo! I do have several salad recipes on the site that don’t need to be heated before serving; here’s a link to a salad round up: https://sweetpeasandsaffron.com/21-make-ahead-salads-meal-prep/. I should do a ‘no heat’ meal prep round up soon! We LOVE the breakfast sandwiches! They are so easy and keep us full till lunch!